This was a somewhat inauspicious debut album from a group who would go on to make some of the seventies' most scintillating, upbeat country rock. 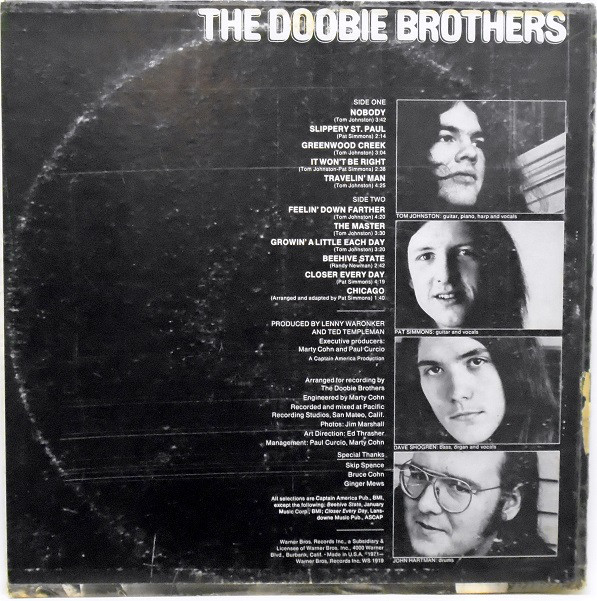 The opener, "Nobody" has lots of hints as to the sharp, punchy country rock sounds that The Doobies would serve up over the new decade, it is full of great guitar riffs, harmonious vocals and some cutting acoustic riffs underpinning it. "Slippery St. Paul" is a bluesy, acoustic number that sounds as if it has come from The Rolling Stones' "Beggars' Banquet". It has a lovely bass line too. "Greenwood Creek" continues the country blues feeling. The sound is a bit rough and ready, but there is an energetic, enthusiastic rawness to it that is appealing, a bit like The Eagles' debut album. It has some killer harmonica on it. "It Won't Be Right" is a CSNY-style country rocker, but with a rougher, gutsier voice. Mott The Hoople tried to sound like this on their "Wildlife" album, but this sounds much better. "Travelin' Man" is a laid-back, once more very country rock number. All very 1971. It has a nice bass and guitar interplay bit near the end. Relaxing stuff. A typical Doobie Brothers "Listen To The Music" type riff introduces "Feelin' Down Farther". 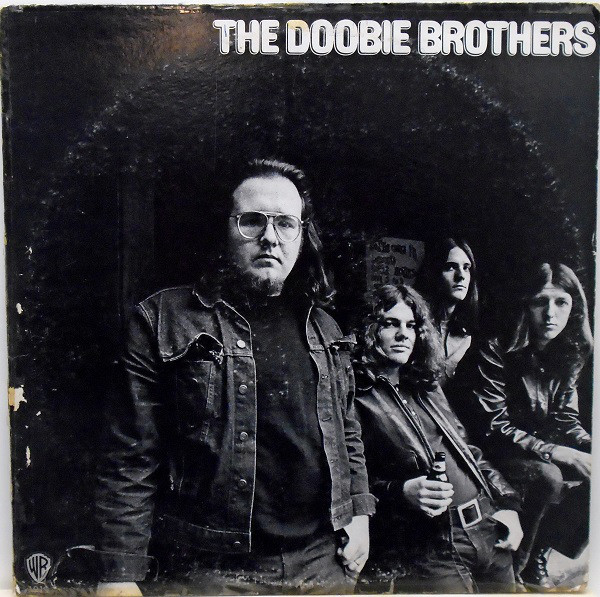 Listening to this, there is no-one else it could be but the Doobie Brothers. "The Master" is a rhythmic number with a hint of The Band about it. "Growin' A Little Each Day" has a downhome country vibe while "Beehive State" has some seriously impressive electric guitar work and some "heavy-ish (for 1971)" overtones to it. It is probably the densest, hardest rocking of the album's songs. 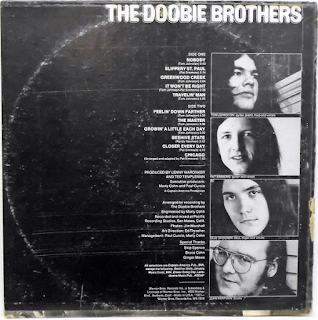 "Closer Every Day" drifts along on a warm, smooth bass line and the album ends with a short traditional finger-picking blues in "Chicago". Overall, this is not an album that demands much in depth analysis. It is an enjoyable, appealing debut album from a band who would go on to fine-tune their sound over the years and produce better stuff, but this was a good start.